Telling the story of U.S. public education requires more than Twitter’s 140 characters, but the problems are easy to identify. Many students are struggling, particularly those from low-income families, those with disabilities, those who do not have a command of English as a second language, and those who are children of color. National, state, and local policy debates have focused on strategies for improvement, but finding solutions that show proven results in the field is harder because the realities are so complex. The strategy the district implemented over a period of years included many elements favored by school reform advocates. 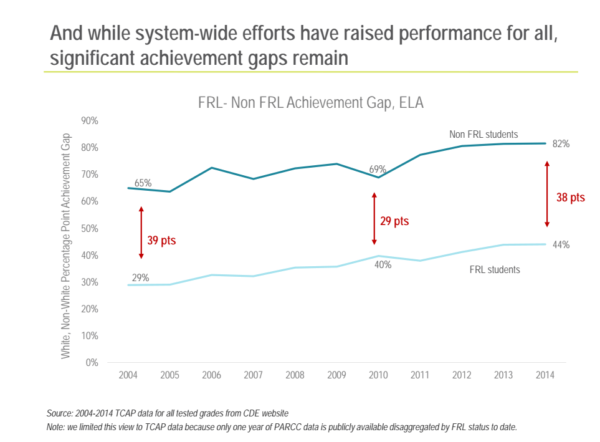 Now, we have the results of a recent study of the DPS system by Education Resource Strategies (ERS), funded by the Charles and Lynn Schusterman Family Foundation, to give us a deep assessment of a school district many see as a model of successful school reform. In many urban districts, willy-nilly expansion of charters has left traditional public schools underpopulated and under-resourced, causing harm to the students and to communities as a whole. At a time when portfolio management and school choice are high on the agenda of many reform advocates and policymakers, it’s important that Denver has effectively managed public “schools with different governance structures.” This is possible in Denver because the district is also the chartering authority for charter schools that serve its students. Other states where chartering is not seen as the function of the local school district might do well to study these results as they adopt new policies. Considerable effort should be invested in helping struggling schools. In reality, you don’t want to keep closing and opening schools. It’s like hiring a teacher and saying if they’re great, great, and if they aren’t, fire them. But brand-new teachers need help and support to get better and most schools, if given the right support, will get better. On another important front, Denver still has a ways to go. Economic and racial integration is important, as integrated schools have both educational and civic benefits for all students. 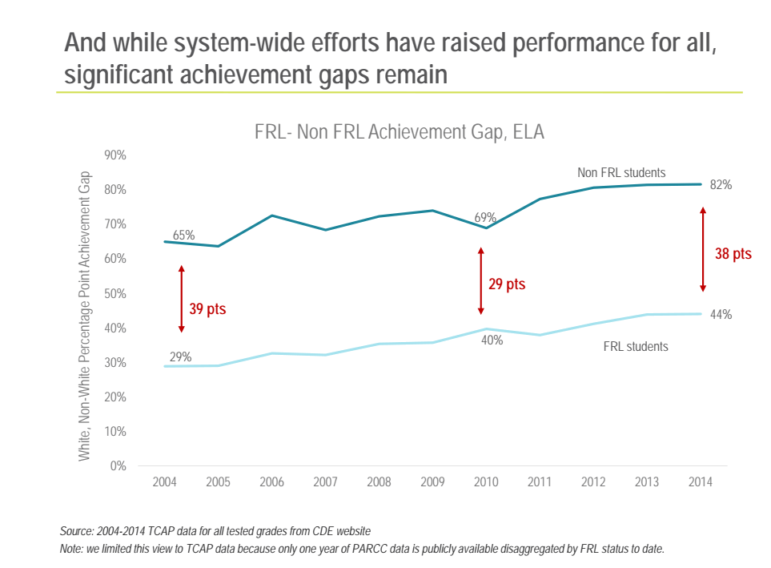 On this measure, Denver’s schools’ current reform strategies are not proving successful. ERS urged Denver public schools to “strategically place ‘proven models and operators’ of schools and adopt policies “that encourage integration in gentrifying neighborhoods.” Creating those policies is a challenge many school districts face, as housing patterns reflect an increasing separation of rich from poor and whites from people of color. Here, Denver may want to learn from Louisville, Kentucky, where there has been success in integration.